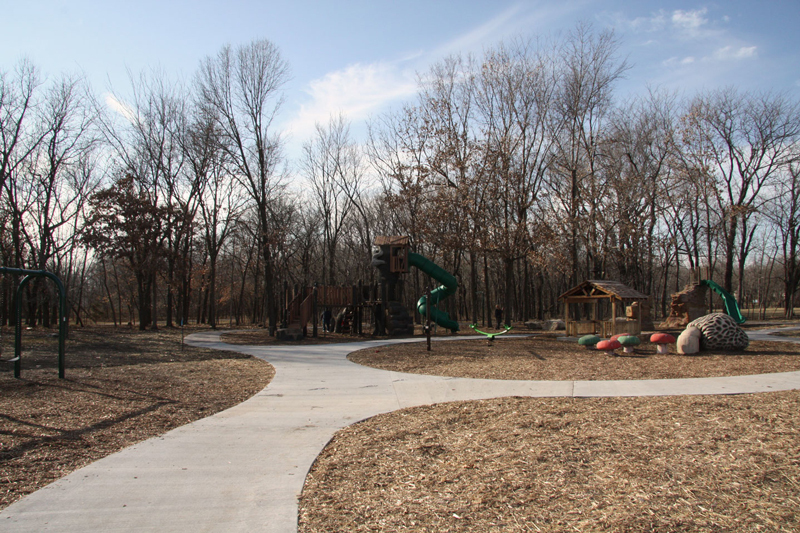 STRATA was part of a collaborative team with Vireo (formerly Patti Banks Associates) to design a destination playground and new park structures for the community of Grandview, Missouri. Working closely with Grandview Parks and Recreation Department, the team conducted a two-day design charrette where valuable ideas and themes were developed which lead to the final design and playground theme “Brumble’s Forest”. 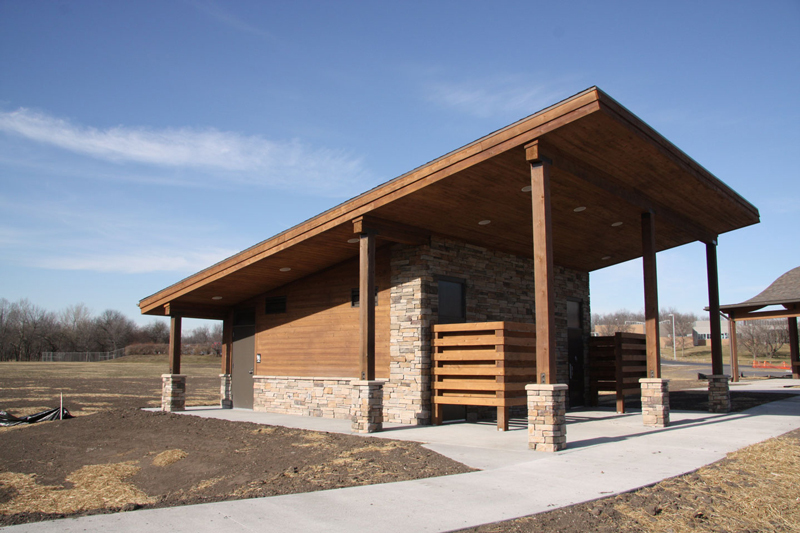 The custom-designed large shelter was designed to create an open and inviting space for up to 150 people.Our firm also was responsible for designing the adjacent restroom building which serves the visitors to the park with a women’s, men’s and family restrooms. 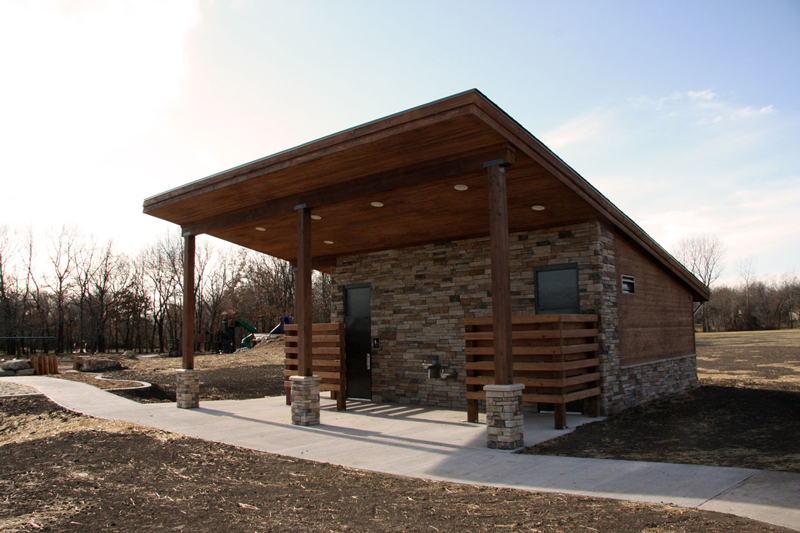 The shelter and restroom building were designed to complement the adjacent existing community center (The View). 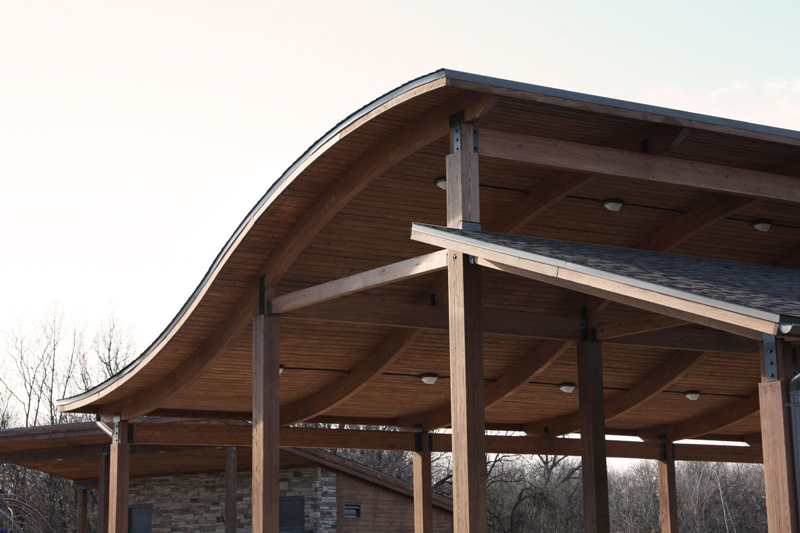 STRATA worked with a structural glu-lam manufacturer to produce the shelter’s custom curved roof. 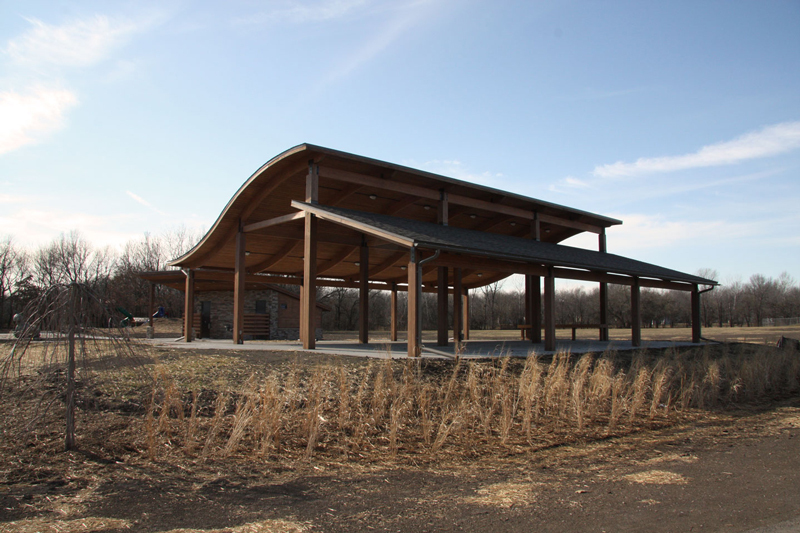 The City of Grandview plans to utilize the unique shelter design as a prototype for future park structures throughout the city. Both structures were designed to incorporate naturalmaterials and features of the site while accommodating the park’s contemporary use.